Our intelligence is not static. It’s something that can expand, evolve, and develop as long as we are alive and kicking. But, your brain (being the complex muscle that it is) needs exercise. If you don’t use it, you lose it. And I mean that quite literally. Neuroplasticity shows us that our brains can literally rewire themselves and create new connections no matter where we are in life. It just needs the opportunity to do the amazing things it’s capable of. And, as you’ll discover today, not using your brain in new and novel ways can lead to cognitive decline. So, exercise your brain, so that you can flex your mental muscles for a lifetime! Just like your body gets used to the same exercise, so does your mind. So, this episode is dedicated to giving you some stranger things (backed by science) that can make you smarter than ever. It’s the little things that can often make a big difference. If you’re willing to experiment, and get outside your comfort zone, you just might find some superpowers that you didn’t even know existed. So, whether you’re 11 or 111, hopefully these tips will broaden your horizons and help you live the life you’re destined for. The weird reason I’m not a big fan of horror films. 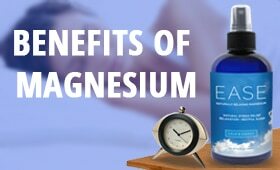 One of the only supplements proven to improve your memory in clinical trials. How the left and right sides of your brain operate differently. How to instantly activate more of your brain by using your non-dominant side. Why it might not be a good idea to force your child to be ambidextrous. How occasionally altering your daily routine can exercise your mind. Simple ways to switch up your habits to enhance your results. The surprising benefits that dancing has on your brain. What activities are shown clinically to reduce your risk of dementia. How different stages of sleep affect memory and cognition. The real reason why alcohol disrupts sleep quality. The surprising pros and cons of watching television. The little known ways that reading makes you more intelligent. How vocalizing and teaching someone else actually helps you to learn better. So recently I took my family on a vacation to a place called Destin, Florida. And you know, everybody was saying, 'Such a great place for families, such a great place for families,' and sure enough it was a great place for families. We had a great time, spent a lot of time at the beach and going to some fun places, but I think you've probably had this experience before as well, that when you kind of disconnect and you unplug, and you take a 'vacation,' ideas brew, you know? It just kind of gives you a fresh perspective, you start to think of things differently. And during this vacation, I actually spent some time watching a new show. And I'm not somebody- I'm constantly standing my ground when people tell me, 'You need to watch this. You need to watch that,' because I'm just like- I don't want to get involved. It's a slippery slope today. You know once you start watching one of these- today is like the Golden Age of television, right? You start watching a couple episodes and then you're in, you get sucked in. You've got to try to close these loops because these producers are amazing at creating these open loops that just keep you coming back for more and more. So I don't have that kind of time, but on vacation I was like, 'Okay, so be it.' So we watched this show called Stranger Things, and I'm kind of averse to kind of anything eerie, you know? And it's not because I don't have my big boy pants on, but when I was a kid- and this is a lesson, a moment in history of terrible parenting. But when I was like five years old, my mother and stepfather took me to the drive-in. And my little brother was maybe one, if that, and so he doesn't really remember, he was asleep. We went to the drive-in, guess what movie they saw? Nightmare on Elm Street. Again history lessons in terrible parenting. And so from that moment on, which I didn't tell anybody- this is until my adult life, this character named Freddy Krueger just made appearances in my dreams pretty regularly. And it wasn't until I was like in my early teens when I had a conversation with Freddy in my dream. I was like, 'Look, bro. This is getting old. You're chasing me, I'm running. You know let's just try something else.' And then we kind of dapped it out with his good hand, not the claw hand, and that was the end of that chapter. But since then I'm just kind of averse. I'm not trying to go and watch kind of freaky things, but this show is more like a combination of kind of like X-Files and like The Goonies. And the people that are listening right now that watch Stranger Things, you know it's like such a great show. And watching the show, I thought about not only the title itself, 'Stranger Things,' and I started thinking about our brain health. You know, that's just the mind of Shawn, I guess. And I was thinking about what are some strange things that can help us to improve the way that we think? What are some strange things that we might not think about that can improve our brain health? And so I dove into the research and started looking for the weirdest stuff I could find. Some stuff was not too weird, but some things were pretty strange. And that's what we're going to be covering today. 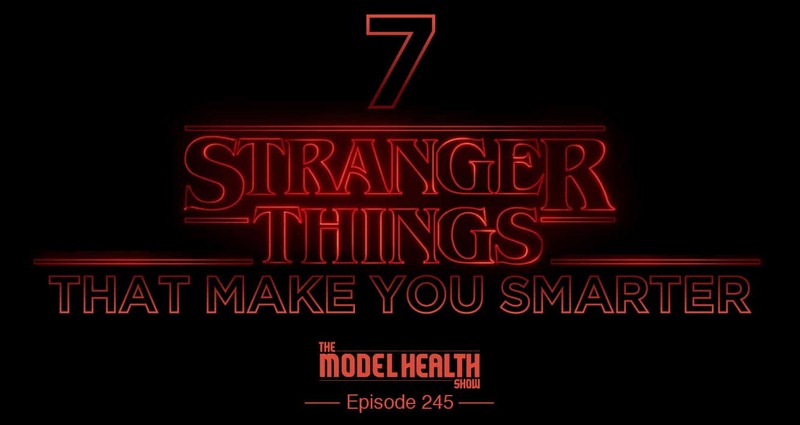 We're going to talk about seven stranger things that can help to improve your memory, that can boost your brain function, and just generally make you smarter. Now all of this goes back to a concept that we've talked about several times on the show, but one of the recent times was with Dr. Wendy Suzuki who's a neuroscientist, and of course we'll put her interview in the show notes. I absolutely love her, I love that episode, and we were talking about neuroplasticity, and this understanding- this very clear understanding today that the brain is not set. Your brain isn't fixed, your brain can continue to grow, and to develop, and change as long as you are alive. But we've been indoctrinated with this idea that this is what you get, you know? You get here with a certain amount of smarts, you get here with a certain amount of development and potential, and that's it. And we know very clearly that that's just not the case. We have this amazing organ that's governing every single thing in our bodies, you know? From moving our fingers, to breathing, to your heart beating, to digesting your food; the governing force is residing right there between your ears, and that organ has this amazing potential that we're simply not tapping into. You've probably heard the statement that we only use a small percentage of our brain, and that's not true. We do use our whole brain, but we tend to not use it very well. And so that's what we're going to be diving into today, is how can we actually utilize some very simple, but yet some of these are strange, ways to improve the function of this organ and make us smarter. And speaking of which, talking about making us smarter and improving our memory, I don't know if you've gotten a chance yet to try out Alpha Brain. Now this is a clinically proven nootropic. So what's different about this nootropic, because this is a growing field now of these different supplements to take to improve your cognition, to improve your memory, especially on the backs of the movie Limitless. Like we're looking for this magic pill that does this stuff, but what are the side effects? Because there are side effects in that movie specifically. And what we want is something that's not synthetic, and something from Earth grown nutrients that have been used for hundreds, if not even thousands of years in some cases. And that's what we have in Alpha Brain, utilizing things like cat's claw, or una de gato, or the claw of the cat. And bacopa, and things of that nature. Another big key here is that they actually did the research with Alpha Brain. Onnit invested the money in doing clinical trials which is some serious, serious money, but they really wanted to show that this actually does work. But they actually wanted to get it and look at this, and they went to one of the most esteemed places in the world to get this work done. And so there were two double blind clinical trials conducted by the Boston Center for Memory, and showed improvements versus a placebo. So it was Alpha Brain versus a placebo, and they showed clear improvements in memory, brain wave patterns, and in focus. And specifically when we talk about memory, this was in verbal memory specifically. So this is when you're hearing somebody speak, or you're listening to a lecture, you're listening to somebody giving you some data verbally. You're much, much better able to assimilate and retain that information by utilizing Alpha Brain. And it's right there in black and white. You guys can check out the studies over at www.ONNIT.com/model and you're also going to get 10% off of Alpha Brain and all of their other incredible supplements, their incredible foods, exercise equipment, gear, everything. You get 10% off. This is exclusive to The Model Health Show. 10% off everything off your entire purchase. So make sure to head over there, check them out, that's www.ONNIT.com/model. And now let's get to the iTunes review of the week. ITunes: This is a five star review titled, 'If You Listen to One Podcast, Make it This One' by BestSnowboardingGameEver. 'I have been putting off leaving a review for this podcast because it's difficult to put into words how appreciative I am of this show. My husband has had symptoms of leaky gut, and has been diagnosed with Crohn's. I've experienced debilitating depression most of my adult life. I never realized or understood just how important nutrition, sleep, and exercise actually matter. Shawn goes beyond the clichés and takes the time to explain exactly how your body functions and how to optimize your life to live the best version of yourself. His explanations are clear, understandable, and enjoyable to listen to. His positivity is contagious and my moods have been improving consistently from listening to his encouraging words. My husband's symptoms have improved drastically. He covers so many topics that if a friend or a family member is suffering with a health problem, it's easy to find a relevant episode to share with them. Shawn Stevenson: Oh man, that is so powerful. I'm really speechless, and thank you for sharing that message, but also thank you for sharing the progress, and sharing the story, and I'm so happy for you guys, and thank you for making me a part of your life. And everybody, thank you for heading over to iTunes and leaving us those reviews. It truly means so much to me and my whole team, who's actually in the studio with me, and just soaking in that powerful review. So just keep them coming. 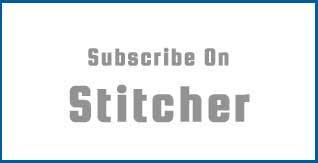 If you've yet to leave a review, pop over there, leave us a review over on iTunes, or if you're listening on Stitcher, or Spotify, or SoundCloud; wherever you're listening, please leave us a review. We truly, truly do appreciate it. And now let's get to our topic of the day. So today we're talking about '7 Stranger Things that Make You Smarter.' And we're going to kick this off with something that's pretty strange, but it works. And this little tactic here is to use your other hand. What? Use your other hand? Using your non-dominant hand can actually make you smarter. Now to understand how using your non-dominant hand can actually make you smarter, we have to take a look at how the brain actually works. Now your brain is divided in two very specific and unique hemispheres, and both of these different hemispheres work independently and in concert with each other. And the two hemispheres communicate information such as your sensory observations, and this is connected through the corpus callosum that connects the two hemispheres. Now in general if we take a look at these two different hemispheres we have the left hemisphere and the right hemisphere. You might have heard these terms before, you know somebody is more operating from the left brain or the right brain. So the left brain gets the rap or the label of being more analytical, and this is because it's more dominant in language, in processing what you hear, and has a big responsibility for a lot of your speaking duties and understanding communication. It's also in charge of carrying out logic and exact math. Alright? So it's very meticulous in making things precise, and it's also in charge of retrieving facts, alright? So these are some of the big things that this side of your brain is doing. While the right hemisphere is mainly in charge of spatial ability, so understanding your space, your body in space, and being able to distinguish between this table and my arm, right? So just being able to operate in space, and facial recognition, processing music, some math- so we've got to make that clear. It's not just completely one side or the other, but some math, but this is more like rough estimations, guesses, comparisons. It also plays a big role in language as well, and in particular context and tone, right? Actually seeing the more subtle things that are in other people's communication. And the right brain also helps us to comprehend visual imagery and to make sense of what we see. Now what's so interesting is that the right side of your brain controls the left side of your body, and vice versa. The left side of your brain controls the right side of your body. And a great example of this is from the work of neuroanatomist Jill Bolte Taylor. She did one of the most popular Ted Talks of all time, and her being a neuroanatomist, she actually experienced a stroke and was able to kind of dissect and go through the process from a different perspective than the normal individual. And so she actually temporarily lost function in the left side of her brain due to a large blood clot, and when this happened she went through a series of different experiences. And I'll put that Ted Talk in the show notes for you guys too, if you happened to have not checked it out. It's pretty old, it's been out there for quite awhile, but she remembers part- when she actually finally realized that she was having a stroke, is when her right side of her body- her right arm stopped working. And so again, the clot was in the left side of her brain, right arm stopped working. And so I just wanted to give you an example of what that looks like, but please understand right side of the brain controls the left side, left side of the brain controls the right side. Now researchers have found that one hemisphere is active when we use our dominant hand, but both hemispheres are active when we use our non-dominant hand. There is more a whole brain activation going on. Now therapist and bestselling author Dr. Lucia Capacchione has done research which shows that regardless of which hand we favor, writing and drawing with the non-dominant hand gives greater access to the right hemispheric functions like feeling, intuition, and creativity. Now there is some data out there saying that this is not something ideally we want to try to target with our children to kind of force them to be what's known as ambidextrous, or utilizing both hands equally in doing different things like drawing, and writing, and things like that. It's because one side of the brain is very specific in how it's getting programmed, and it's kind of built into our genetic program for these things to unfold as we get older, as we do work, and have this dominance on one side of our body. And so the research hinges on a number of studies, but mainly they're studies that are like this one, which was a study of eleven year olds in England that showed that those who are naturally ambidextrous are slightly more prone to academic difficulties than either left or right handers. So this was- again this was correlation but not causation. And so there are some similar things out there, but again correlation, not causation, so it's not something to try to push or program your kids to do these things. But as adults, what's happening behind the scenes when we start to utilize our other hand, is that we're activating the other side of our brain. And as we do that, as we- it's kind of like exercise for your brain in a way, but you are activating more whole brain patterning, or whole brain learning even. Now another interesting thing in the research is that it's not just about forcing yourself or doing some activities using your other hand, but also looking at things that are complimentary, that both hands are being used together in a complimentary way. So this would be something like playing the piano, for example. There's a lot of research showing that when you are utilizing both hands in a complimentary fashion, you're creating new neuro associations and synaptic connections in your brain, and really eliciting growth that is not seen in the average brain. So what are some ways that you can utilize both sides of your body in a complimentary fashion, and somewhat equally? This could be something like dribbling a basketball, for example. That might be something else you might do a little bit of work on. Of course playing the piano. There are different instruments where you utilize both hands pretty evenly. Maybe even changing and turning your body around and doing stuff backwards. This is another little interesting component as well. Like maybe running backwards. And we had on Bo Eason on an episode not too long ago who was a former NFL player, and he was a defensive back. So his goal was to be the fastest person in the world running backwards, right? So I'm going to be the fastest person running backwards, because he has to try to keep up with wide receivers who are running forward. And now today he's also arguably the number one stage performer in the world, and he made that transition because I really feel he's activated and utilized different parts of his brain, and he's proactively done that. And so I'll put that episode in the show notes as well. So those are some complimentary things, but what are some things that we can do to utilize this newfound information of activating the other side of our brain- our whole brain patterning by using our non-dominant hand? So something simple, and I do this from time to time is to use your computer mouse with the opposite hand. It feels really weird, especially when you first do it, but that's something you can give a try. And Apple actually- I believe it was the first company to make it so that you can toss it over and actually set it to be left-handed or right-handed for the mouse. Brushing your teeth with the opposite hand. I actually did that today, I do it occasionally, and when you first try to do this it's going to feel like somebody else is brushing your teeth. It just feels really, really strange. You know, so you want to make sure that you're doing a good job brushing, so maybe use your non-dominant hand and then go and use your dominant hand until you get the hang of it. So another way to go about this is like maybe trying to open bottles and things like that. I actually open with my non-dominant hand myself personally, and something like using a can opener with your opposite hand. Now many things already, these are not made for left-handed people in mind. And my wife is actually left-handed, so seeing her try to use a can opener is like- it is just hard to watch. I've come in and I've seen cans just shredded. Like knives on the table that she's like torn apart because she's like stabbing the can because she can't get the bottle opener or the can opener to do its thing. So with that in mind, also she's told me stories- and a shout-out to everybody who's left-handed out there. The person I love more than anything in the world is lefthanded, but she's just shared with me how the world has not been made for lefthanded people. And we're talking about when you look at the data, right around 80% of the population is right-handed, and there's some ambidexterity in both populations, you know? Because very few people are actually 100% left-handed, it's like 5% of the population. And the same thing with right-handed, it's like 55% of the population. And then there's like this mix in between. Like take my son Braden, for example, who's about to turn six years old. He actually writes with his left, but he throws with his right. And I thought I messed this kid up. I was like, 'I taught him to throw with the wrong hand. Oh no, I don't know what he's going to do,' I'm just thinking about if he plays a sport, and this kind of thing. But it's actually pretty common, and it's what he felt, it's what he chose to do. He just kind of naturally went with it, and I thought that I programmed him to throw with his right hand because he was copying or mimicking his older brother, and mimicking me. But he actually- this is just what feels good to him. Another way to go about using this is washing your dishes with the opposite hand, or even washing yourself with the opposite hand. We tend to use one hand more frequently, your little bath loofah, or whatever you're using to wash yourself. Also pouring drinks, you can try that, that also feels pretty weird. And be careful, okay? Be careful, you don't want to create a scene or create a mess. But this is just other things to do. Scooping protein out of your protein container, that kind of thing as well. Just as much as you can, activate that other side of your brain by using your opposite hand. And by the way, I brought up my wife but another thing I just thought about when we were on the road recently, I saw her trying to put an ironing board away. It was like watching just a total massacre. It was terrible! So I came over and helped her. She was like- it was dangerous, actually. It looked pretty dangerous. But I don't know if you guys know this little fun fact, but in history being left-handed has not been looked upon very nicely. And if you look at the Latin root for the word 'left,' is 'sinistra,' or sinister. Crazy, right? While the right in Latin is 'dexter' as in dexterious, which means having skill with the hands. Not fair, not cool. How is one sinister and one is good with the hands? That doesn't make any sense. You know but then it gets drawn out and there's such a lean on being right-handed for a lot of things in our world. From the can openers to the ironing boards, to desks. My wife used to tell me about stories of how hard it was at school because of the desk. You know the armrest is right there in the way of her trying to write. Also notebooks. My videographer, Shoe, was telling me about his wife, also soon-tobe wife is left-handed, and the notebooks, right? The spiral notebooks. So all of this stuff says, 'Lefties, we love you.' Including my wife, Shoe's soon-to-be wife, my son, and everybody listening who's left-handed in the left gang. You are not sinister, and as a matter of fact using the left hand operates more of that intuitive right brain, and left-handed people, it's kind of seen that they tend to be a little bit more creative, and all that good stuff. But we can tap into the benefits of both sides of our brain by activating and utilizing both sides of our body. Alright Stranger Things, and this is just one. Alright? So that's number one, is utilizing both sides of your body, utilizing your non-dominant hand to activate the other side of your brain. Number two in our list of 7 Stranger Things that Can Make You Smarter is to occasionally change your routine. Now this might actually sound pretty strange because we've done shows specific to building great routines, whether it's a morning routine, or an evening routine that literally help you to lose fat, that help you to improve your brain function, that help you to improve your performance, that help to improve your sleep, that help to improve your focus. There are so many different areas of your life that are improved by creating a routine, so why would I tell you to change it up? You want to have habits of success, but you do not want to become complacent. Alright, you don't want to become complacent, this is the key. And many of us fall into that. We get a level of success with doing the same thing over and over again, and we get 'set in our ways,' and we become complacent, and we stop doing things to grow and evolve, and maybe find something that potentially could work better, but also by changing that pattern, you're also changing your brain. So Dr. Daniel Amen who we've had on the show as well, and he's one of the top experts in the world in brain health, and he has the largest database of brain imaging scans in the world. You know, he's helped with the big NFL studies, he's taken brain imaging scans of everyday folks, and people in high level positions, people who are homemakers, and he has all this data compiled, and he knows quite a bit about what it takes to have a healthy, happy brain. And this goes back to what we started the show with, talking about neuroplasticity, and this is really the key. You're literally changing and growing your brain when you simply change up your routine a little bit. Your brain has to change. Now Dr. Michael Roizen who's been on the show as well, and he's just incredible, he did the show talking about fiscal fitness, right? Having some financial fitness as well as how does our financial health impact our overall health? And it was just a really great show, I love that guy. To keep your mind youthful, simply try to vary your routine at work or at home. So again, why do we want to put this in practice and what matters most? Well what matters most is actually creating a routine first. It's having something to change up, some consistency, and this is incredibly important for many areas of our lives. And actually the evening routine episode, at this point right now in the history of this show, is the most downloaded episode, and it's been hundreds and hundreds of thousands of people have already listened to that episode, so we'll put that in the show notes as well, and how it can improve your sleep quality, improve your mental function, even improve fat loss. It's crazy stuff, so make sure to check out that episode if you happened to have missed it. But we want to have a routine because that creates a pattern of success. And our brain is always looking for routine, it's always looking for ritual, it's always looking for laying down- a possibility of laying down more myelin which is kind of like an insulation over that nerve pathway. This is so you put the things that you want to do on automatic so they're not hard to do. Maybe it's like going to the gym, maybe it's eating the right types of food, that kind of thing. The more we lay down more myelin so the behavior is automatic, the better. So this means every now and then let's change something up. It doesn't have to be drastic, it can even be something- and here's a practical tip of putting this in play. Simply changing the order of the things that you're doing with your routine. So maybe if it's a part of your morning routine, and you tend to exercise as soon as you get up, that's the first thing you do, and then you go get some hydration, and maybe have some coffee. Maybe you switch it up. Maybe you get up, and you go get hydrated, and you have a little Waka coffee, maybe do a little work, and then you exercise. You know just changing up the pattern, changing up the structure a little bit, and putting things in different places can help to improve your brain function. And here's one of the really big reasons why this works so well, is that switching up your routine forces you to pay more attention. It forces you to pay more attention and you're not just on robot mode. Another thing is that it changes the exposure of triggers. So in your normal routine there's a set of triggers that maybe have created negative results in your life. You know, maybe you have a certain routine and it ends up at Starbucks with a Mocha Smoka Unicorn Frappuccino in your hand, right? And so maybe if you don't go that way to work, maybe you won't have that same trigger show up, if that makes sense. So this is changing the trigger, and it's also changing and getting you to pay more attention to what's going on, to the present moment. So here are some tips to put this in practice, and this'll be a little bit more clarity on what I mean by it brings more awareness to what you're doing. So one of these tips for putting it into practice is to take a different route home from work. Alright? That one simple thing completely changes your awareness. You are forced to pay more attention to your environment, whereas when you're on automatic, like you leave the office- I don't know if this has ever happened to you, but it's probably happened to you, but you leave your office, or leave your regular place you go during the day, and you're headed home, and you put the key in the ignition, you take off, and you arrive. You arrive at your destination but you don't remember how you got there. Like none of that data was stored. You didn't pay attention to any of it, right? That's probably never happened to you, but I'm sure that's probably happened to you, right? So this is something that everybody's probably experienced at one time or another, but we don't like to admit it because it's like you checked out when you were driving. Where did you go? Right? Where'd you go? And it's just because the behavior pattern, the program is automated. You've done it so much, you've laid down so much myelin, you don't really need to pay that much attention, and your brain's got it handled. It's not that you're becoming more dangerous or reckless, it's just your brain has put that on automation. And so taking a different route home, maybe you take a different highway, you take a couple different back street, you know you take the 'scenic route,' and that's going to change your brain. It's literally going to stimulate parts of your brain and get some activity going, and literally improving your brain function by simply changing up your routine a little bit. So taking a different route home from work, exercising at a different time, you can give that a shot. Work in a different area, that's a really interesting thing and an interesting change in stimulation for your brain. You know, so maybe instead of sitting at home at your home office, maybe you go and you work at a coffee shop or something like that. You know just changing the stimulus. I mentioned working out at a different time, but what about doing a completely different type of workout? That is a powerful way to go for stimulating your brain, and activating new connections. And that's what Dr. Wendy Suzuki talked about on the show, again she's a neuroscientist, and she found that doing specific types of exercise really help to encourage the growth and development of the brain. And specifically when we talk about the hippocampus, and so this is all about memories, and making memories. So if at all possible, if your whole thing has just been all about lifting, that's all you know is the barbell, you are a 'swolger,' you're all about getting 'Forrest pumped,' right? That's your thing, alright? 'Vin Dieseled.' 'Pump Dragon Morgan Free Gains.' That's your thing? Changing it up, maybe you try hot yoga, right? Something completely in a different realm. Do that maybe one or two times a week for a few weeks. Change it up, change your brain. If your thing is maybe running, maybe you try a couple of CrossFit workouts for a few weeks. Or if your thing has been swimming, and that's cool if you swim, that's your activity that you like to do, maybe try basketball. So this is something else, again change up your routine, give yourself a new stimulus. Not only is this great for your body, which we know this, changing the brain is just like a muscle. When you change the stimulus, when you get used to doing the same thing over and over again with your body, you get diminishing returns when your body gets used to the same workout. The same thing with your brain. We want to keep the brain developing, change it up, try something new. And now let's move onto number three on our list of stranger things that can make you smarter, and number three is dancing. Yes, dancing can actually make you smarter. Have you ever thought about how backup dancers were able to pull Britney Spears and J-Lo? Have you ever thought about that? They must be pretty smart guys. Kevin Federline, right? Do you remember J-Lo's backup dancer guy that she was dating for awhile? That's right, you don't. He's very forgettable but a big shout-out to Chris Judd, another dancer who pulled a pretty high level celebrity. Smart, smart guys. And maybe you might argue with that, but the point is when you dance, you actually are making yourself smarter. That's a little funny thing that we can look at and consider, but real talk very few activities stimulate a wide variety of brain systems as dancing does. And this is again, according to Dr. Daniel Amen. He says that, 'Dancing requires everything from coordination and organization to planning and judgment.' And again, very few things stimulate such a wide variety of brain systems as dancing does. Now there are some kind of obvious things that maybe might not be so obvious sometimes, but dancing improves the production and release of serotonin, alright? So this is this kind of feel good neurotransmitter. It also decreases stress. And they sought to find out if any physical or cognitive recreational activities influenced mental acuity. And they discovered that some activities had a significant benefit, while other activities had essentially none. Now they studied activities like playing tennis or golf, swimming, bicycling, dancing, walking for exercise, and doing housework. And here's some of the things they found, this was most notably in their research, is that reading regularly reduced the risk of dementia by 35%. They found that doing crossword puzzles for at least four days a week helped to reduce risk of dementia by 47%. Playing golf, approximately 0%. Oh some people are like, 'No! It's not true! Golf definitely makes you smarter.' It's just what the data shows in this particular study, alright? No love lost. Dancing frequently was found to reduce the risk of dementia by 76%. And that was the greatest risk reduction of any activity studied, cognitive or physical. And dancing and golf might be the thing, but golf according to this is not something that's going to greatly reduce your risk of dementia, thus- again this about protecting your brain from early aging, but also just improving the function of your brain right now. And of course golf does have tremendous benefits just with getting out, walking around, social, and you know just the mental focus on trying to get that little ball into that little hole. But for this study, again it's really about looking at what are the things that are protecting our brain and creating those new connections on a consistent basis. Now in this study, neurologist Dr. Robert Katzman proposed that the people are more resistant to the effects of dementia is as a result of having greater cognitive reserve and increased complexity of neuronal synapses. So why does dancing actually work so well? It's because dancing integrates several brain functions at once; kinesthetic, rational, musical, and emotional all together at one time further increasing your neuroconnectivity. So another question that might come up is do all kinds of dancing have the same effect? Do all types of dancing lead to increased mental acuity? And according to this research, no. Not all forms of dancing will produce the same benefit, especially if they only work on style and merely retrace the same memorized paths over, and over, and over again. Because what they found to be most effective is making split second decisions, and making as many as possible, and this is the key to maintaining our cognitive ability. So what does this look like in practice? And where do we actually get the benefit from this? Freestyle social dancing appears to be the best, alright? So this is when you're- and there can be a lot of variation in this. This is where you're freestyle dancing, you're just doing whatever feels good in your body at the moment, and kids are great at this by the way. My son Braden- if you guys are following me on Instagram, my Instastories- even today you'll regularly see some breakout dance sessions happening. It's just random, and it's fun. Especially Braden is like the celebrity on there. So make sure you're following me over on Instagram, that's @ShawnModel over on Instagram to stay up-to-date with all of our fun, and all of the tips and health and fitness stuff that we do as well. So that- and you can see the spontaneity in leading and following in dance as well when you're dancing with a partner. And the researcher said this seems to help initiate something called a flow state. And so if you're salsa dancing, and just that kind of thing as well. So dance routines- by the way, and they made it clear, they're not trying to say that dance routines are bad by any means, especially when you're learning it and mastering it, because you're creating a lot of new neuroconnections. But if you keep going back to that, like you're the person just like, 'Oh there goes Jerry again, doing the robot.' You know, if you're that guy or that person who's just doing the same memorized thing over and over again, you're not getting the same kind of benefit. Not to say that's not cool, Jerry. Your robot is dope. However if we're trying to improve our brain, stranger things, we can actually change it up and get more benefit that way. And so the scientists in this particular study said that our brain constantly rewires its neural pathways as needed. It does this as needed. And so what that means is if your brain doesn't need to change then it won't. If your brain doesn't need to change, then it won't. And in short, your brain doesn't get better or worse by accident. This is in your hands. That's why tips like this, and just proactively mixing some of these things into your life can add a lot more health, and happiness, and long-term success. Now again, make sure to check me out on Instagram to stay up-to-date. This is something that I didn't even know this is so good for the brain, but it's just something that we do as a family. But here's some other tips to put this into action. So number one is just dance. Just dance. Just let yourself go, just dance. Have fun, dance around. You can also take some dance classes, and go and experiment, try something new if that's what you're into. Maybe this is something that you've been wanting to do, now you've got a more wellrounded reason to go and take some dance classes. Or this might be something outside your paradigm. Like it just makes you very uncomfortable to even think about going to a dance class. That might be something really good for you to try as well, to really get out of your comfort zone. Also Zumba is popping right now. That's another place that you can go and get some dance in but also some really great exercise as well. But really all types of dancing is great exercise, but this is more of a structured kind of formal class. And shout-out to all the Zumba instructors that are listening, and people who love Zumba as well. I love you guys. Now let's move onto number four. So number four on our list of the 7 Stranger Things that Can Make You Smarter might just be the strangest state that human beings can be in, which is sleep. Now sleep is just weird. This is like nobody can really explain what it is. If you're trying to articulate what sleep is to maybe like an alien population who doesn't sleep, and they know what like human activity looks like, and movement, and they know what death looks like. So it's like, 'You know what sleep is? It's just like you're pretending to be dead. You just lay down and you don't move.' Right? It's kind of weird, but it's one of the most powerful and rejuvenative and life-changing in either a positive or negative direction depending on where you lie on the sleep spectrum, thing for human health. And so when we look at making you smarter specifically, we look at something called memory processing. And Professor Vincent Walsh from the University College of London has described the deep anabolic 'slow wave' sleep. That's also known as non-REM sleep that happens earlier in the night as being crucial for encoding information and facts that we encountered during the day. Again, literally making you smarter and coding that information, storing it so that you can actually go back and retrieve that data. And this happens- a nice chunk of it during non-REM sleep. When he mentioned by earlier in the night, when you initially go to sleep, say you're going to sleep for seven hours. In the beginning of the night when you go to sleep, your deep sleep stages are longer because you're cycling in and out of these four basic stages. And so this deep sleep stage is longer in the beginning of the night and then it gets shorter as you cycle through and go to each stage. It gets shorter, and shorter, and shorter as the night goes on, and you get more and more into REM sleep, so that's Rapid Eye Movement sleep. And he said that REM sleep is when we encode procedural memories like how to perform a new physical skill or a mental process. This is also when a lot of subconscious creative problem solving is taking place. A lot of problems we don't just solve them because we put so much mental energy on them during the day to try and really bang out, and work, and brainstorm, and all these things. Our subconscious mind has so many different alternative methods of getting to a solution that sometimes if we just 'sleep on it,' we come up with a better solution. Right? So this is an opportunity for us to really understand this, that you're actually getting smarter when you go to sleep. It's this process called memory processing is taking place where we're taking the procedural things, the data, even what you're learning right now, and it's getting converted into your short-term memory when you go to sleep at night. And if your sleep is disrupted, if your sleep is not apparent, then this process is getting blunted. This process of actually being able to learn information is not going to be working at its optimal level. And so an example I like to use, and this was in my book 'Sleep Smarter,' when we talked about how drinking alcohol before bed can affect your sleep. Now full disclosure, this is not anti-alcohol, but this is just disclosing the data. And so the data shows that you do in fact fall asleep faster when you drink alcohol before bed. That's a given, it absolutely is true. And so your memory processing, again if we look at procedural memories, right? Procedural memories, so things that are happening as things unfold, right? The process of things happening. That being stored in your short-term memory, that is happening during REM sleep, and your REM sleep is what gets suppressed when you drink alcohol before you go to bed. This is why this strange occurrence can happen, and I know again it's probably never happened to you, but if you drink too much and you wake up the next day and you don't really remember exactly what happened, alright? You don't really remember exactly what you did. That procedural memory has been kind of screwed up because of the alcohol, because of your REM sleep being disrupted. And so in the book also I provide some strategies so that you can still get your drink on, get your sippy sip on without demolishing your sleep quality, and having this unfriendly occurrence called a 'hangover' which is really because your sleep is so disrupted. And so to summarize this point and what's actually going on in the brain, we have approximately 100 billion neurons that make up our brains, and when we sleep we have increased strength in making new connections, and these are the synaptic connections between these neurons. So we're literally creating new connections, and a big part of this process is happening when we sleep. And if we're not sleeping or our sleep is not up to par, that's when we see a lot of problems. And also in 'Sleep Smarter' we talk about some of the relationship between improving focus, accuracy, and things of that nature. Even one chapter of the book, in chapter eleven we talk about athletes and performance, and just this incredible- like this particular basketball team and seeing them increase their sprint times by a full second. Or seeing them increase their free throw percentage significantly when they're getting more adequate sleep. So all of this speaks to the fact that sleep matters. It matters in processing memories, it matters in protecting our brain, it matters in increasing our focus, and just being more efficient and effective. And so there was another study, this was published in 'The Lancet,' and they took physicians and they had them to complete a task, alright? So they had them complete a specific task. Then they sleep deprived them for just 24 hours, that's a small sleep debt, which is not uncommon at all when we're talking about the field of being a physician. And so they had them come back and do the same exact task again, and what they discovered was that they made 20% more mistakes doing the same exact thing when they were sleep deprived. It's dangerous. It also took them 14% longer to do the same exact thing. So we're losing efficiency, we're losing effectiveness. Because that's a big mistake we make is we're grinding it out with no sleep, right? Sleep is for suckers. And then we end up spending far more time trying to clean up messes that we make, and trying to figure things out when if we were just wellrested, all of that data would be much easier to grasp. Alright so we don't want to mistake working for being effective. We want to make sure that we're showing up as the best version of ourselves. A healthy, happy, excited version of ourselves to execute on the work that we want to do. And you can also check it out on audiobook, and I know that a lot of people listening are big fans of audiobooks, and I am as well. And for me, I use Audible, and Audible has an unmatched selection of audiobooks. And you can actually get 'Sleep Smarter' for free. Now this is by taking advantage of the thirty day free trial that you get access to at www.Audible.com/model. So that's www.Audible.com/model. You get a thirty day free trial to Audible, and you get a free audiobook of your choice. 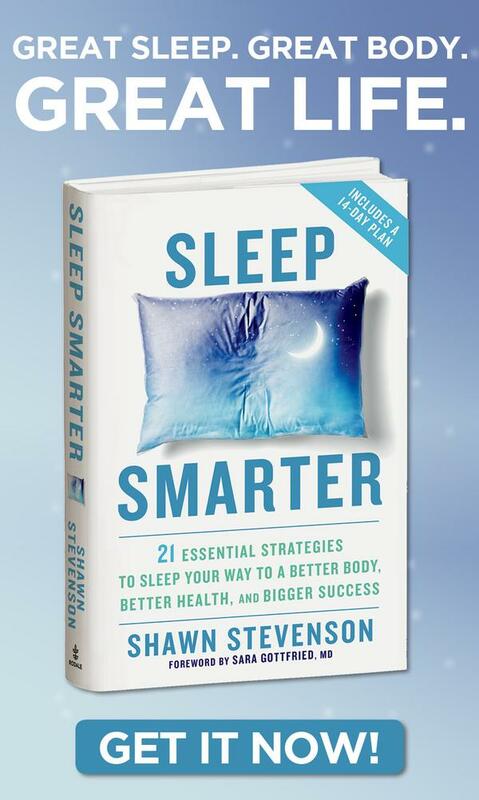 So you can check out 'Sleep Smarter' or any of the other amazing audiobooks that are out there. Even- we mentioned Dr. Daniel Amen for example, and so many amazing books that he has. You can go over and hop over to Audible, take advantage of this free trial, and get yourself an audiobook of your choice. And you can take advantage of one of Dr. Amen's books as well, or many of the other guests who've been on The Model Health Show. So this is a great way to consume information, because they have the largest selection of audiobooks, original audio shows, news, comedy, and so much more. And the reason that I love Audible so much is that I can listen to my audiobooks from anywhere whether it's my iPhone, or my computer, tablet, things like that- if you've got an iPod. That's what I was rocking when I first was listening to audiobooks on the go outside of- in my car. I remember back in the day I would have audiobooks on CD. We call it still 'Automobile University.' And my wife just came across the other day like a box of just all of these audiobooks, and interviews, and lectures that I had that I was consuming. And you know, this is why I appreciate you guys so much, and why it's such an amazing gift for us to have this kind of information available at our fingertips that we can listen to on demand. It's so powerful because this didn't exist. This didn't exist, and so we want to take advantage of that with podcasts, and also with audiobooks. www.Audible.com/model for a free audiobook and a thirty day free trial. Alright so check them out. I absolutely love Audible. Now let's move onto number five on our list of the 7 Stranger Things that Can Make You Smarter. Alright it's so seductive, but researchers at the Northern California Institute for Research and Education in San Francisco investigated the association between sedentary lifestyles, cognitive performance, and the risk of developing dementia. They found that people who watched a lot of television, namely four hours or more per day, scored significantly lower on measures of cognitive performance in middle age. Now this is something that we kind of know, it's like one of the things that's kind of hovering around in culture that if you watch too much TV you're going to get 'programmed,' right? The television programming. You're going to- of course this is a more sedentary lifestyle, you're just going to be more unhealthy, you know? Also it's unhealthy for our brains according to this research. And Dr. Daniel Amen also said that people who watch TV for more than two hours a day specifically have significantly higher risk of developing Alzheimer's than those who watch less. So the key number here is really right at two hours a day, where you lie on that spectrum. Now here's something else, you guys, because I always look at both sides of the data. On the other side it turns out that watching television is not so terrible. Now one study found that people who watch half an hour of a television show perform better on intelligence tests than people who listen to classical music, who worked on crossword puzzles, or who read books. And this research suggests that a small amount of TV watching might help people to relax more than other activities and open up different channels in their brains. But they said also in this study, make sure that it's not the 'more is better' attitude with this one. Again watching more than two hours of TV each day can lead to cognitive decline. So how do we take all this in? Television is an amazing asset that we all have access to, but we know that we can get sucked in. We know that it can start to take control of our lives and become a part of our evening routine or our daily routine. But watching four hours of television a day, what in the world? How? How do you have time to do such a thing as just like- and we're complaining about all this other stuff in our lives, about our health, about our relationships, about our finances when we're watching so much television. And I know this, I was that guy. Like I used to watch every baseball game that came on TV. We're talking three hours a pop at least, and of course this was when I was in college. I would do my homework as I'm watching the game, which is I guess is a little bit better for your brain, but it's just like how in the world did I have that kind of time? Right? I think they had like maybe sixty of the games on TV or something like that. I don't know, it was something crazy, and I watched all of them. And it was a great time, you know we went to the playoffs, I think we even won the World Series that year, but I just realized like if I want to get my life together, I need to back off of this. did all these other things to really grow myself, and to grow my reach, and to grow my value. So we don't want to get caught up in the world of TV even though it's the Golden Age of television for sure. But put that stuff in its right perspective because it doesn't mean don't want TV, but don't let it start to become the centerpiece of your relaxation or of your life. Alright so now what are some tips to put this into practice? So what can we actually do instead? Let's start there. What can we do to swap out watching TV every night for several hours? Well let's add in- so this is for passive, if we're talking about passive entertainment, which is watching television where we're literally just sitting back and the TV is kind of watching us as we're watching it. Passive entertainment, this is why I love podcasts and audiobooks so much because it's something you can sit back, pop on your headphones, and just go to even a different world if we're talking about an audiobook or something like that. But it's different stories that are in some of these great podcasts that are available as well. Or even just getting ourselves some more edutainment in the evening to put that into our mental rolodex before we get ready for bed. It's a great opportunity here in passive entertainment. What about more active forms of entertainment? Getting back to basics like playing some games, you know? Play some games with your kids. Or there are games that we can play that are solo games. You know, Solitaire, and crossword puzzles, and things like that. And there's actually some benefit we mentioned earlier about doing crosswords. Also this is a great opportunity to read some books which we're going to talk about in just a moment as well. Conversation. This is one of the most healthy things that we can do as humans, and we have a very- this is why our brains are so evolved as well is because of our ability to communicate, and to speak, and to listen, and to perspective take, and to collaborate, and to come together. You know, this is something that we have access to today more than ever whether it's right there in person with somebody that you love and care about, or hopping on Facetime, or whatever the case might be, or on the telephone. But having conversations is another way that we can go about unwinding for the day and getting a form of entertainment, if I can say that. So another strategy here, and again this is not- this is so we're not taking the TV away. We still get access to that but make it so that it's specific days of the week is when you watch TV. And this is something that my grandmother actually did, and I remember this when I was a kid. I got to have kind of full dominion over the television. You know, I'd get home from school, I'd get to watch the Cartoon Express, this was on USA. And I don't even know if USA is still a channel. But anyways- and they had the Cartoon Express with all these very different types of cartoons that they would have depending on the day. You know it might be Pacman, it might be Monchichi's I think. Is that something? Shawn Stevenson: That's Shoe. So that's really what that looked like, and then- but there were two nights a week. One, and it was just like Grandma's time. I had no say in the conversation. You get up, it's Grandma's time. Magnum, P.I. She had a thing for Tom Selleck I guess. Magnum, P.I. and The Equalizer. When those two shows came on during the week, that were her days where she shut down everything. Because she was always so busy taking care of everybody else, but she would sit down and enjoy those shows. Oh, she had one more. Murder She Wrote. Alright? So just maybe pick a couple of days a week. Maybe it's the day that your favorite show comes on if you're watching like traditional television. You know, again maybe it's Game of Thrones for example, and it comes on Sunday evenings. Or you know, you've got another show during the week. Whatever the case might be, but today- again we have full access to just binge watch. So maybe you don't do that every day, watch TV, and then you just do it a day or two on the weekend where you just kind of binge watch your shows. Alright? So just sharing this piece because we're talking about Stranger Things, today television is a big part of our lives, and it can start to 'program' us and take up a lot of our mental space. It doesn't mean that we can't enjoy it, and having access, but we want to be more intelligent in how we interact with it so that we are running it, and it's not running us. Number six on our list of the 7 Stranger Things that Can Actually Make You Smarter is reading, games, and puzzles. And this is why reading groups are so beneficial, and he went on to say this as well, because it adds a social component to this and another dynamic thing that bolsters cognitive functioning. So it's storing the information and being able to retrieve it and talk about it as well. And specifically, reading can help to improve a part of our mental construct, a part of our brain, a part of our reality in something that's called emotional intelligence, which we had the top person in the world on talking about that, Dr. Daniel Goleman, which we'll put that in the show notes. This was very recent. And he's just amazing, absolutely amazing. And so we talked about EQ versus IQ. And so this is your intelligence quotient versus your emotional quotient. And according to studies at York University and University of Toronto, individuals who often read fiction appear to be better able to understand better people, to empathize with them, and to view the world from their perspective. Now this effect is likely because when we're talking about short stories and novels, this quote gets inside the heads of multiple characters, right? And you're trying to piece together from your own perspective by taking their perspective, what their motivations are, trying to explain that, and also taking more of an omniscient viewpoint, and kind of all-knowing perspective because you have to make sense of these different characters' perspectives. And so those fiction books really help to bring to life parts of your brain that can lie dormant and not very active. But again, taking advantage of this, reading some fiction which I used to think was just not productive. So there were years I spent, if it's not about a nutrition book, or something related to fitness, or personal development, I just wasn't interested because I thought it wasn't productive. And boy, was I wrong. Reading fiction has been one of the great gifts that have kind of added to my life. And I don't always read fiction, but at least once a month I'll dive into a fiction book and kind of carry that through, and maybe read it for a week or two, and get through a fiction book. So I frequently add this piece in, and I would recommend that you consider doing the same thing. And another great thing to add in with this particular point of these 7 Stranger Things is adding in some games and puzzles. There are tons of studies on the benefits of games. So this could be classic games like Scrabble, Battleship, and Connect Four. Your brain is literally operating and finding different creative ways to try to compete, to try to win. And so just engaging in that, playing with your kids, playing with your significant other, this is a great thing to add into the mix here. And also there are studies on video games. Again, a small amount of playing video games can actually be very beneficial for your cognitive function because you get creative at problem solving, and also putting yourself into the perspective of the character in the game, sort of like a book. So again, something to consider. And also I mentioned earlier when we talked about the study of how dancing can improve your brain function, but I mentioned how doing crossword puzzles at least four days a week statistically showed a 40% reduction in risk for dementia. Alright so other things to add into the mix. Stranger things that actually make you smarter. And finally number seven on our list of these 7 Stranger Things that make you smarter is speaking out loud. Speaking out loud. What does that even mean? Well there was a study published in the 'Journal of Experimental Psychology, Learning, Memory, and Cognition,' that found that test subjects consistently learned words faster when reading them aloud versus reading them silently. And this is something known as the Production Effect. Now the researchers stated that the Production Effect represents a simple but quite powerful mechanism for improving memory for selective information, and this is the key here, because it only seems to work well in a certain way. Reading all of the words aloud did not score better than reading all of the words silently. It's when half of the words are read aloud, and half the words were read silently. And one of the things that they know about helping memory is something called distinctiveness, and this is when we tend to remember the oddballs in what we're trying to learn pretty well. An experimental example of this is an idea called the von Restorff effect. And so this is basically if you're giving a list of- we'll just say a long list of exotic fruits for you to remember. But one of the items on the list doesn't quite fit, so maybe it's like a catcher's mitt on the list. And so you're far more likely to remember the catcher's mitt in that list because it's the oddball. list, and some of them are read silently and some are read aloud. The ones that are read aloud tend to stick out more, they're more distinct, they're the oddballs. But if you just try to read all of them aloud, and use that as the memory technique versus just reading them all silently, statistically we don't see a big advantage. And a lot of people today are actually afraid to share their gift, to share their knowledge, to share the things that they know, because they feel like they're going to be giving their secrets away. But in reality, our knowledge is like a candle that's burning from within our souls. When you share that light with somebody else, you're not dimming your own light. In fact, when those two souls come together, and two candles come together, the light actually burns brighter. And when you walk away, you still have your light, and now you've helped to light the candle of someone else, and so they're able to shine bright and to share that with somebody else. And we can continue to share this, and to light more candles, and to share our gifts and talents with the rest of humanity, and that's really what it's all about. Not withholding, and disclosing, and hoarding, and trying to keep everything for ourselves, but to be able to share our gifts and our talents and our capacities, and that's what it's really about. So when you teach, you get to learn it twice, and it actually makes you smarter. You're learning how to take the information that's within your own brain and to articulate it, and to share it. And I love the statement from Einstein that says, 'If you can't explain it simply, then you don't know it well enough.' 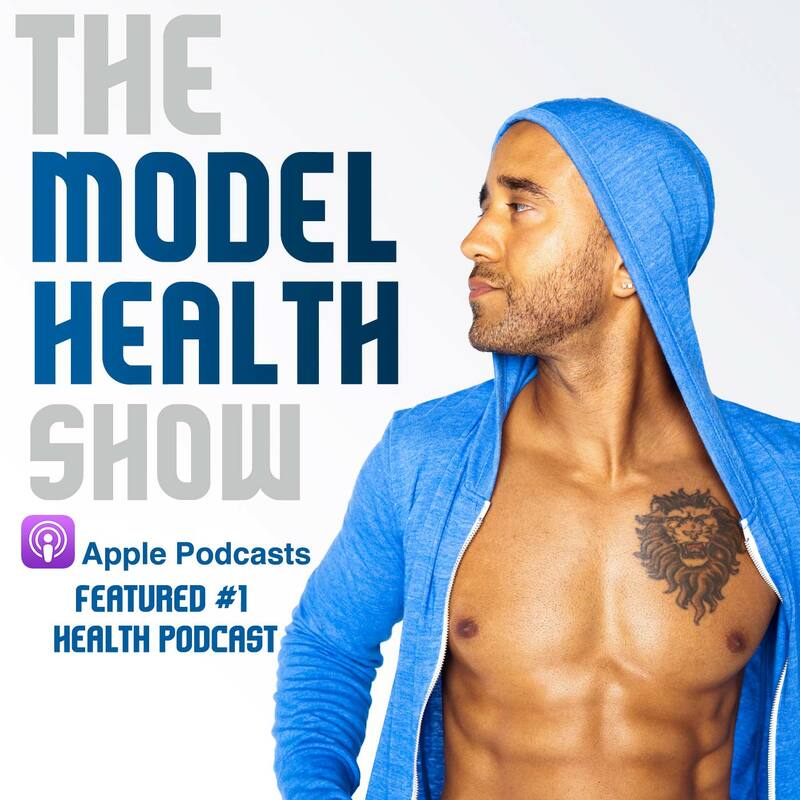 And so that's what I really strive to do with The Model Health Show, is to bring a level of simplicity because this isn't about making things complex, and out of bounds for people, and difficult to understand. It's about making it easy to assimilate it and to retain so that we can get it, and we can share it, and then that person can share, and that person can share it, and we can create a real movement. And so how do we put all these things together for this particular tip? Well number one is to simply recite things back. We were talking about earlier and utilizing some words spoken aloud versus reading everything aloud or reading everything silently. The things that you want to remember, maybe it's a key point for a speech you're doing, or something that you're trying to learn so that you can share it, or even for your own personal data, you actually learn it faster when you recite things back, and you speak a little bit of it out loud. The other tip here is to teach someone. Even the information that you learned here today, you take this information and you teach it to someone else. Maybe it's a couple of tips that you learned today, maybe it's something very specific; whatever the case might be, you take it, and you pay it forward. When you teach, you get to learn it twice. So that's how we do it. And whether it's with the podcast, whether it's with books, whether it's with information that has something to do with your career, or your relationship, when you teach it, you get to learn it twice. So continue to teach, continue to be a lifetime student, and this is how we're going to make real change on our planet. And I appreciate you so much for being on this mission along with me, and I hope that you got a lot of value out of this episode today. Our 7 Stranger Things that Could Actually Make You Smarter. If you did, please make sure to share this out on social media, share it on Facebook, on Twitter, Instagram, wherever you like to hang out. And of course you can tag me, and I truly do appreciate that. We've got some amazing guests and show topics coming up, so make sure to stay tuned because it's just going to keep getting better, and better, and better. We're going to keep going to another level together. I appreciate you so much. Take care, have an amazing day, and I'll talk with you soon.